In this unique round robin chess tournament, six Woman International Masters from India take up the challenge against six foreign titled players. 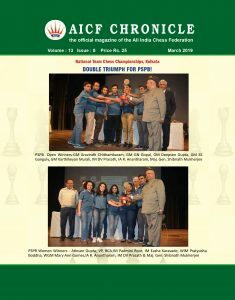 The tournament is a novel initiative by the All India Chess Federation to bring out the talents and also give opportunities to our young Women International Masters to obtain Woman Grandmaster Norms under home conditions. 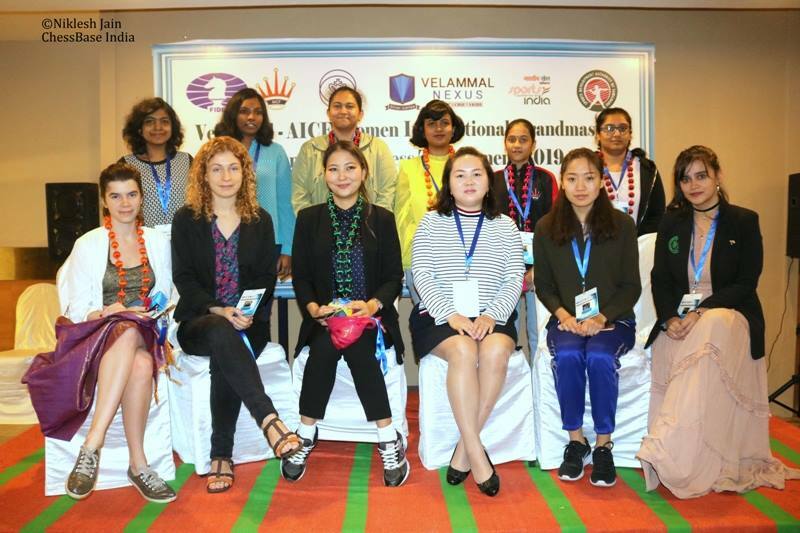 This prestigious all-women event is organised by Tamil Nadu State Chess Association under the aegis of All India Chess Federation from 28th January to 4th February, 2019 at Hotel Abu Sarovar Portico, Chennai. By organizing this event two International Women Masters from Tamil Nadu will benefit by rubbing their shoulders with the Woman Grandmasters from abroad. Rs.7.5/- lakhs will be the total prize money funded by the All India Chess Federation with the winner getting Rs.1.5/- lakhs. The top three of the tournament will be awarded with trophies named after Shri. Muthuramalingam, Chairman & founder of Velammal Group of Institutions. Title sponsors, the Velammal Group has been taking chess forward in Tamil Nadu for the past decade and more. Thanks to their unbridled support Tamil Chess has a list of top young Grandmasters viz., D Gukesh, R Praggnanandhaa, Karthikeyan Murali, Aravindh Chithambaram and R Vaishali to name a few who have come out of their stable. Further, this 11 Round Robin tournament, in addition to WGM and IM Norms, offers an opportunity for Indian Woman International Masters to improve their International rating. This is the third of the series of Woman Grandmaster tournament, the brainchild of AICF, organised by TNSCA. The Inaugural function will be held at 10.30 AM on 28th January, 2019 at Hotel Abu Sarovar Portico, Kilpauk, Chennai. Title sponsors, the Velammal Group has been taking chess forward in Tamil Nadu for the past decade and more.